A quality bar cart does not come together overnight. It does not come together with one trip to Target, C.Wonder, or Pier One. The best of bar carts are an eclectic mix of gadgets cultivated over time: a jigger that never got used in college, a vintage mermaid bottle opener I found at a thrift store, cocktail napkins I created for the event designer, Tara Guerard’s Life is a Party pop up shoppe… to name a few. 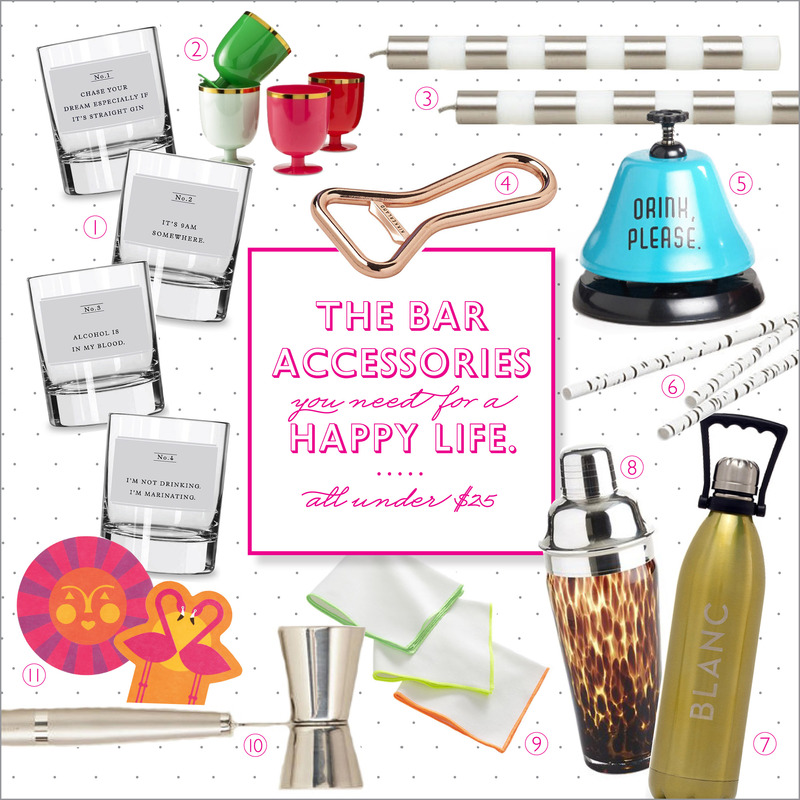 When you’re on a budget, super-studly bar accessories fall low on the shopping list. I’ve collected some of the best bar finds out for under $25 (most are under $10!). Trust me, you can’t beat these prices.